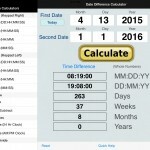 The Distance Converter app is a useful calculator for converting between distance units. 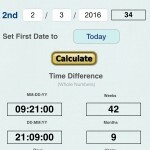 Also there is a fun series of calculators in the app for calculating your pets age into human years. This app works for both cats and dogs. 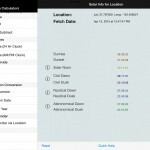 The Bicycle app is a useful application for anyone interested in bikes. 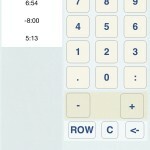 The Time Calculator+ app consists of twelve time functions in a single app, and is designed for both right-handed and left-handed people. 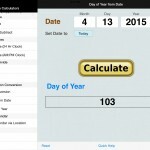 Also included is a Solar Day calendar for your location that is auto-generated on when selected from the functions list. 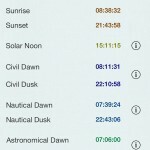 EXTRA: Solar Day events for Dawn, Dusk, and Noon. 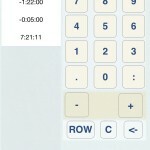 Time Column Calculator uses time expressions in a list of times and applies addition and/or subtraction to total the accumulated times. The Multiply Time Periods Calculator multiplies an amount of time against a decimal number and converts the result to a time expression and the total in four different time units: Days, Hours, Minutes, and Seconds. The Divide Time Partitions Calculator divides an amount of time against a decimal number and converts the result to a time expression and the total in four different time units: Days, Hours, Minutes, and Seconds. 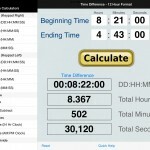 The Time Difference (24 Hr Clock) Calculator works out the difference between two periods of time using Military Time units for a period within 24 hours. The Time Difference (12 Hr Clock) Calculator works out the difference between two periods of time using AM/PM Time units for a period within 24 hours. The Time Unit Conversion will convert an amount of time using Days, Hours, Minutes, and Seconds into a four difference totals: Total Days, Total Hours, Total Minutes, and Total Seconds.